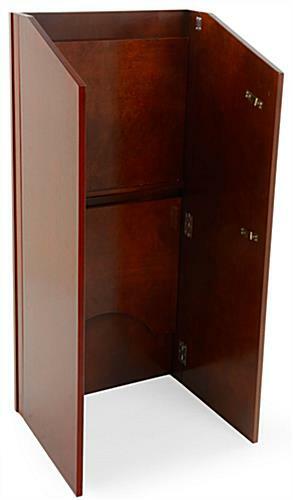 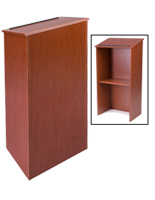 This red mahogany collapsible stand, also known as a wood folding podium, offers speakers a 20" x 16" reading space for notebooks, laptops, tablets and other devices for keeping lecturing notes. 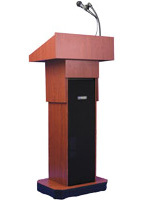 The portable lectern is easy to setup and knockdown because of the fold down design. 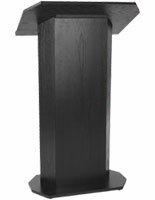 Each collapsible stand for schools and churches features a .5" lip at the bottom of the reading surface to keep items on the countertop. 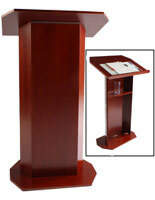 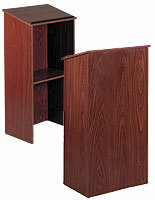 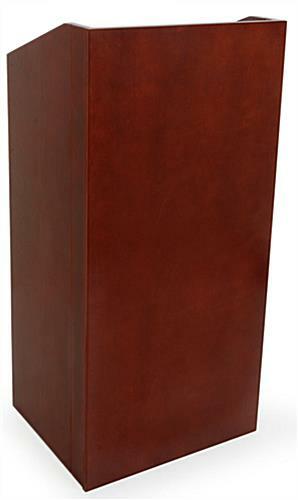 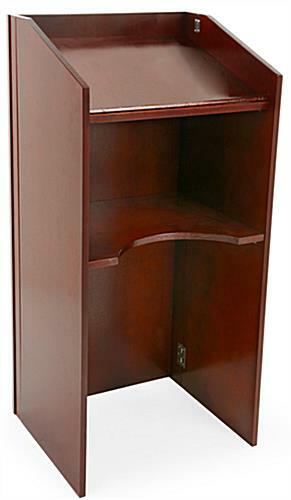 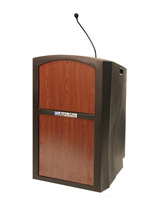 Every wood folding podium has a plywood construction with a mahogany veneer for an upscale look at an affordable price. 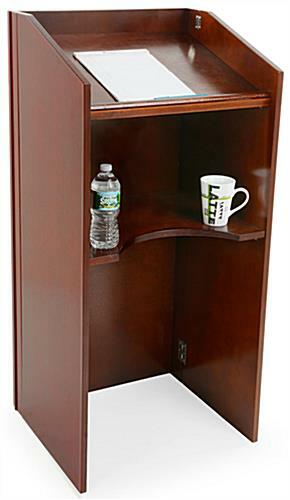 An interior shelf in the collapsible stand accommodates lecturers who want have water, tissues and other accessories on hand. 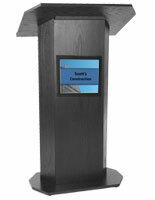 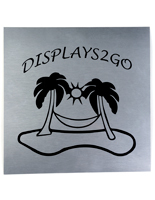 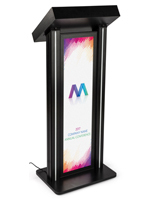 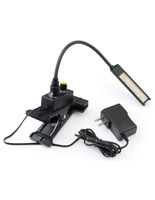 Users can fold down the portable lectern to 4.25" thick for easy carrying. 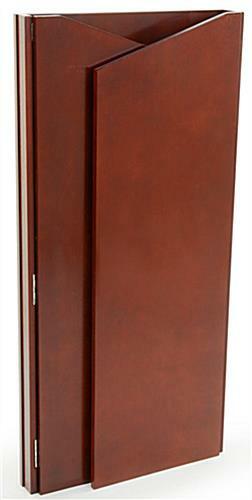 21.6" x 46.1" x 18.6"